Fitting for teachers, scholars, and students alike. Or if you have another favorite or inspirational word, I’m happy to create a design that speaks to you. Order here on Etsy, or send me a message! 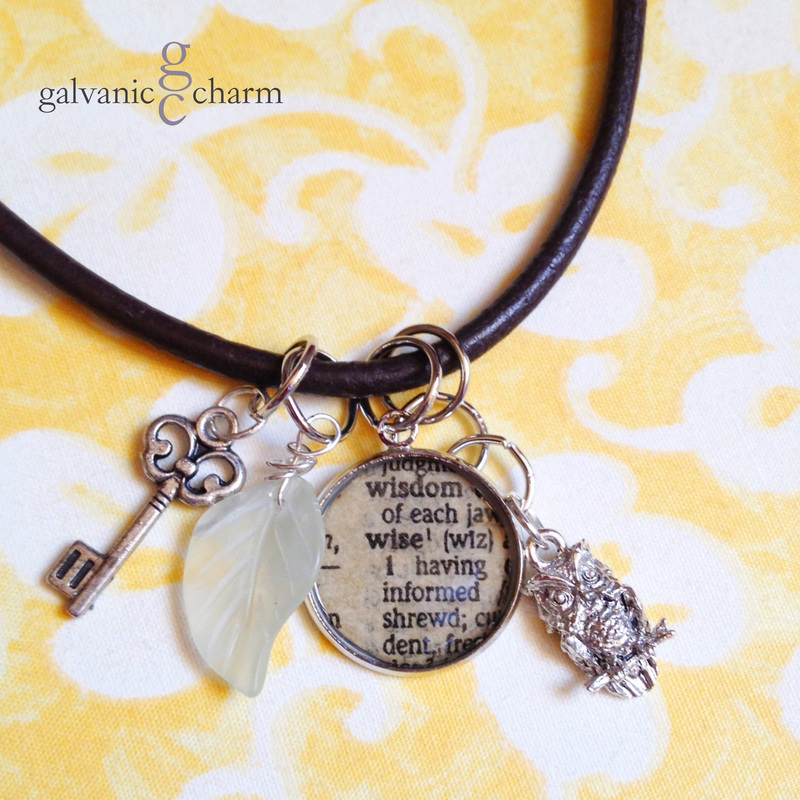 WISE – Hand-laquered dictionary charm with pewter owl and key charms, and jade leaf. 18″ chocolate-colored leather cord with stainless steel chain clasp. $40 as shown.